For the past 4 years, we have been offering you the possibility to use our SaaS, a service that allows you to use our software online, without having to install it on your terminal’s servers. Terminals such as Brest and Rouen already use this service, which allows them to take full advantage of our solutions at an attractive cost. In addition, our hosting offer service gives you the possibility to secure your data by hosting a copy on our servers. 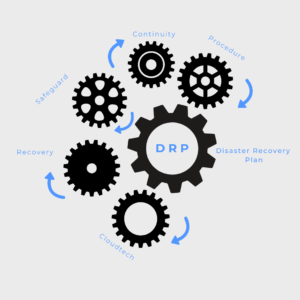 Our DRP, Disaster Recovery Plan, protects your data from any disaster by allowing you to backup a copy on our secured servers. The SOCAPAR and TGO groups (Terminal du Grand-Ouest), trust us to secure their data with complete peace of mind. All you need is a connection to a web browser to access the software’s data in SaaS mode, no installation is required. Data is stored online (in the cloud) and accessible at any time, allowing the company to invest without having to manage a technical infrastructure. SaaS management guarantees the company a much higher level of security than internally administered IT management. There is only one solution to prepare for this: the disaster recovery plan. One in three companies has already experienced an incident or failure that required the initiation of a disaster recovery plan (Evolve IP Study, 2015). As Evolve IP points out, it is not a question of whether or not a company’s information system will ever encounter a disaster, but rather of when it will occur.